DeShayes Dream Courts is a small design build company in Cherry Hill, NJ that specializes in the construction of residential basketball courts, putting greens, and outdoor living. Although the company is small, their scope of work is anything but. 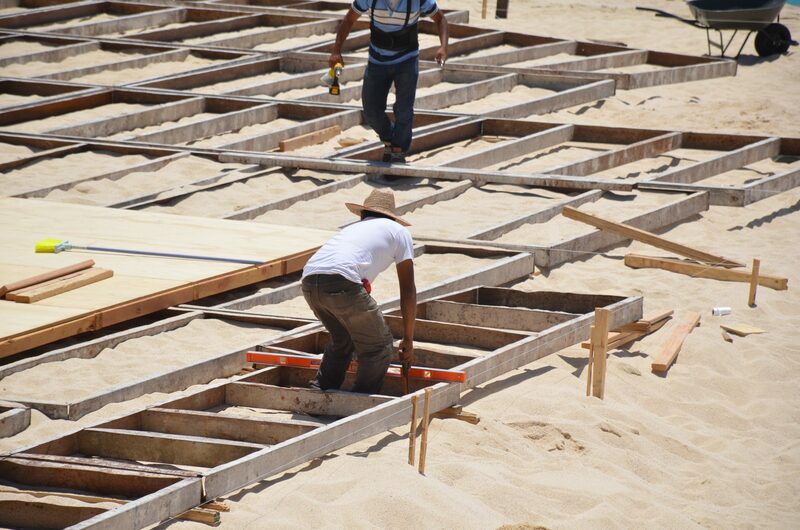 One of their most unique jobs takes place on the beach in Cabo San Lucas, Mexico. 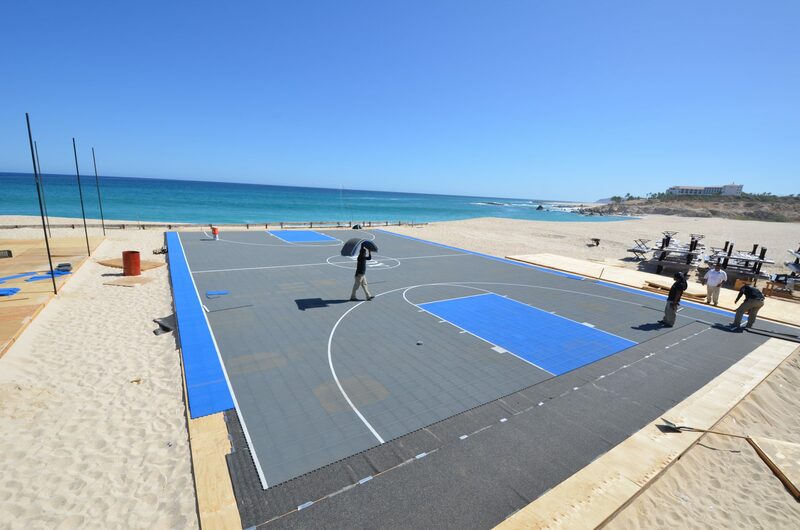 That’s right, on the beach in Mexico, and it’s a full size basketball court! One of DeShayes’ clients hosts a private event in Cabo every year and during that event they have a basketball tournament. This is the second year in a row DeShayes built the court on the beach and it’s still a hit. Business owner, Joe DeShayes, says being able to play basketball while feeling the ocean mist and breeze is an experience beyond compare to the regular outdoor courts off the beach. “If only we could provide oceans for all of our clients!” he joked. The basketball court is temporary, so it is installed, played on, and uninstalled within a 14-day period. The installation process requires extreme precision and numerous steps to create the most functional and aesthetically pleasing basketball court possible. 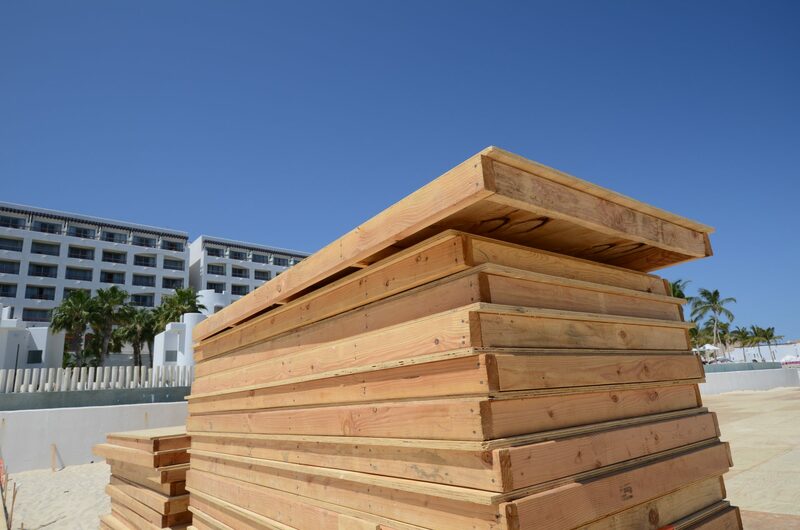 The installation begins with framing and leveling the base using galvanized steel frames for the required support and levelness needed for a professional basketball court. Next, plywood platforms are installed, similar to the plywood used underneath professional basketball courts. The plywood platforms on galvanized steel frames cover a play area of 84’x50’ with room for out of bounds. The total basketball court base area is 94’x56’.